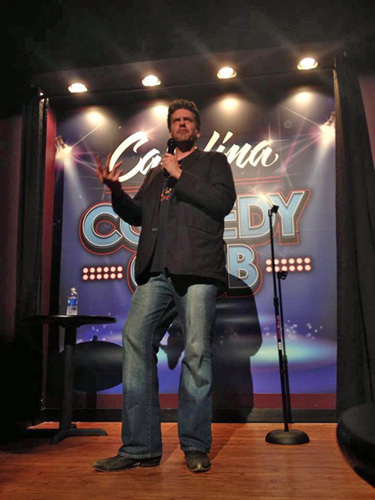 All comedy fans will enjoy side-splitting laughs at this premier comedy club. 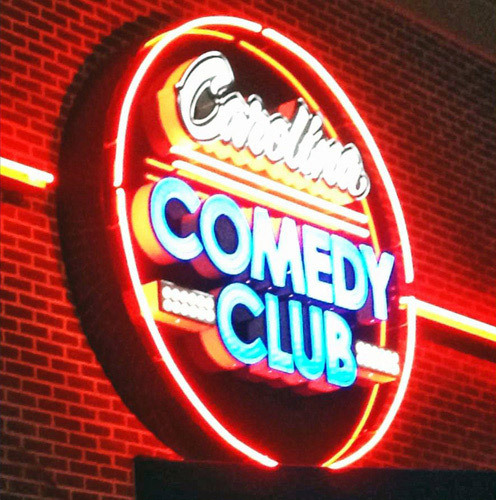 Some of the top comedy stars perform at this Myrtle Beach venue, including Chelsea Lately, Pauly Shore, Gallagher, and more. 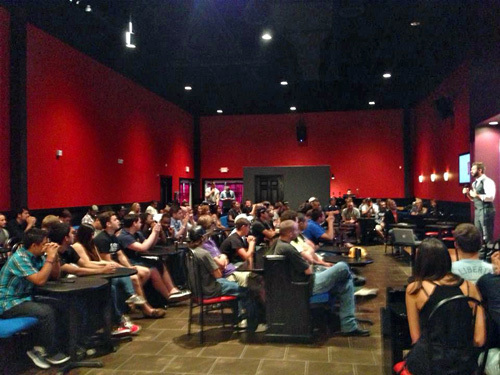 Complete with the Back Stage Bar and Grill, what’s better than laughter, food, drinks, and one amazing time? Ages 18+ and two menu item minimum. 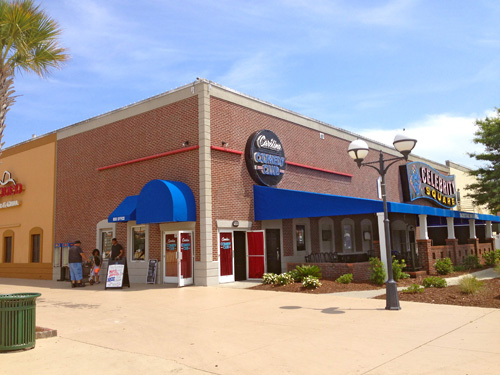 Carolina Comedy Club has come to South Carolina’s number one tourist destination, Broadway at the Beach. 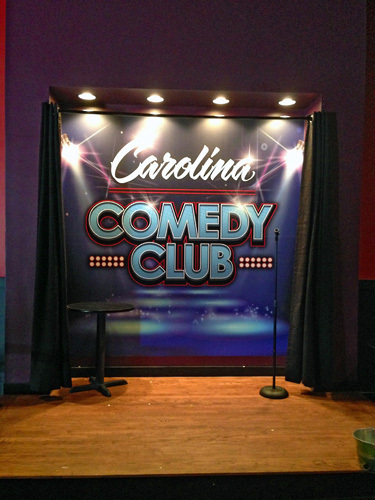 Carolina Comedy Club was designed and built from the ground up to be one of the premier comedy clubs in the country. 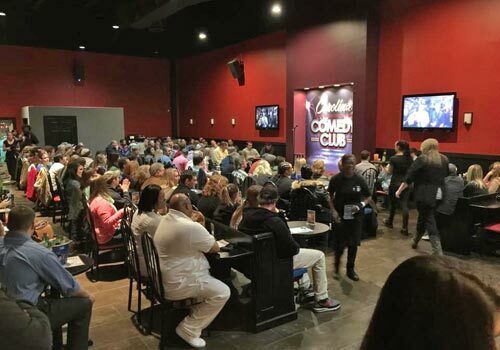 Bringing you the biggest names in comedy as seen on The Tonight Show, Comedy Central, HBO, and Showtime, Plus the biggest stars like, The Comedians of Chelsea Lately, Pauly Shore, Ralphie May, Tommy Davidson, Gallagher, and more! 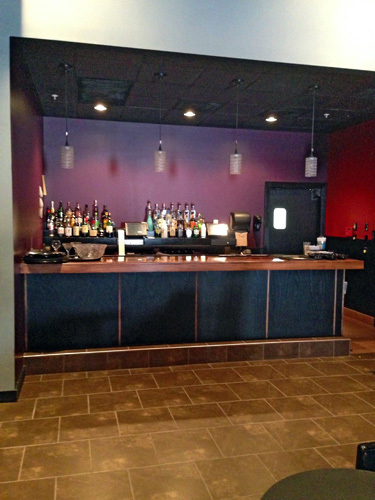 In addition to our Great shows, Carolina Comedy Club also features the Back Stage Bar and Grill. Come early before a show or stay late and enjoy some Amazing food (Not Your Typical Pub Fare) and the best drink specials at Broadway. You’re at the beach to have fun, So what are you waiting for? 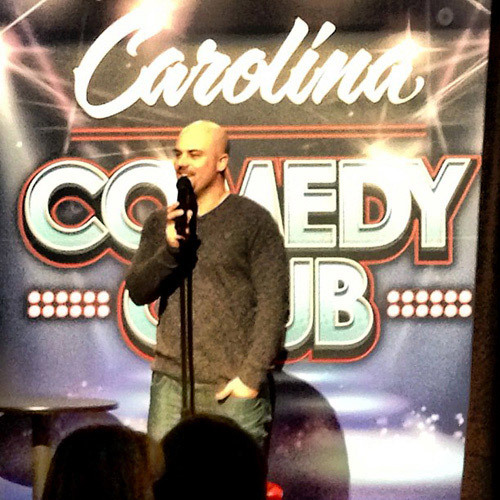 Come Laugh the night away at Carolina Comedy Club! All shows suggested for ages 18 and over. Two menu item minimum. Please arrive early for seating.